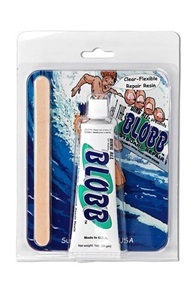 Buy Ding All Surf Repair Online at Kitemana! 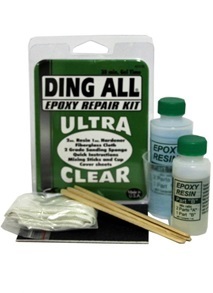 Ding All repair products are ideal for fast and do it yourself repair of your kiteboard of surfboard. 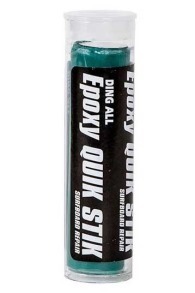 Handy if you have a smal ding or crack in your board and need a quick fix for your next session. Ding All has several products in the range that will help you repair your kitesurfboard. Is there a crack or hole in your deck? 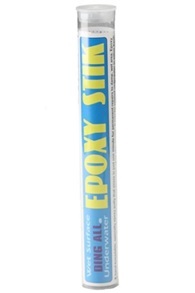 Then the Epoxy Repair kit will help you further. 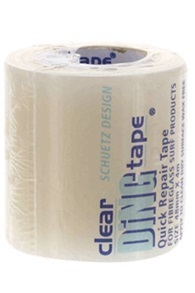 This easy kit lets you repair your surfboard independently. Easy and fast! So you are quickly back on the water. If you are looking for preventive protection, you are also at the right address at Ding All. 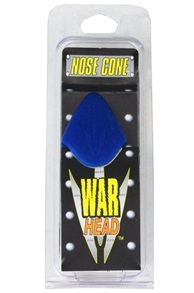 The Ding All nose protection with aircell technology protects the nose of your surfboard. As a result, you are less affected by shocks or bumps!